For more information on Total Maximum Daily Loads (TMDLs), please see our general information page on TMDLs. Please see the lower section of this page called "TMDL Resources" for other TMDL related links. The section below is a list of the all the TMDL Projects approved or in development. 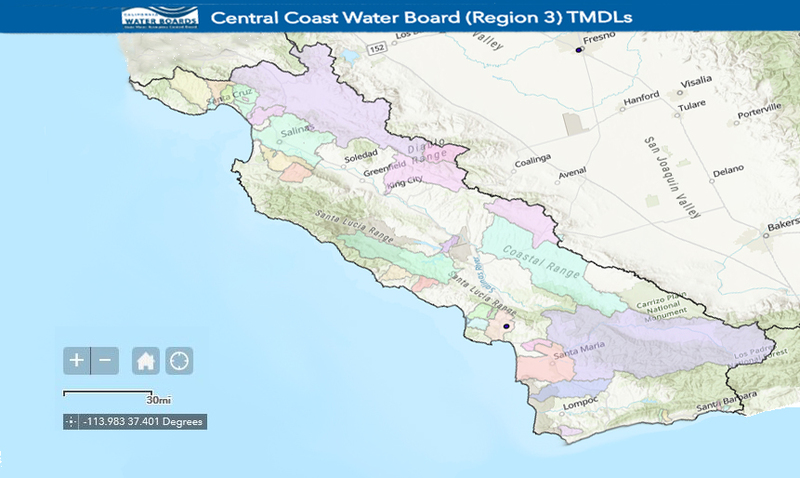 Approval dates indicate Central Coast Water Board approval.